Some 5.3 million contactless transactions totalling over £39m were made using Visa contactless cards in March 2013 as more retail outlets and transport services adopt the payment option. According to Visa Europe, there was a 22% increase in the number of contactless payments made in the UK in March compared with February. London buses began accepting contactless payments in December 2012, and since introducing the capability to 8,500 buses some 1.5 million transactions have been made. Retailer Marks & Spencer is processing more than 230,000 contactless payments a week, and the Post Office is installing contactless payment terminals in 11,500 branches. Earlier this year, Boots began rolling out contactless payments across its stores nationwide. This followed a pilot of contactless payments systems in 600 of the retailer's largest stores, which allow customers to tap the reader with their cards for payments under £20. 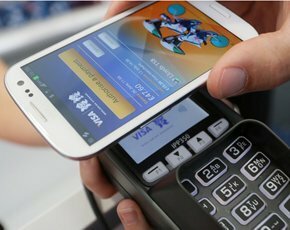 By the end of 2013, Europeans will be exceeding 52 million contactless transactions every month, according to Anne Van Schrader, head of contactless and mobile NFC at Visa Europe. “We’ve been building the contactless ecosystem across Europe since 2007 so it’s fantastic to see consumers recognise its value," she said. The next step could see the traditional bank card replaced by the mobile phone as the method of making payments.